The Korean secret to a visibly perfect complexion is in high-tech, multi-use formulas to help improve the appearance of your skin, making it look luminous and soft. These intelligent, hybrid formulas transform your skin to give it the appearance of a velvety, ultra-soft finish. Its transforming texture is unique: as you blend our CC Crème into your skin, watch as it goes on white, then transforms to match your skin tone and offer you even coverage. 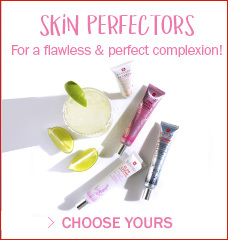 Your complexion is even and luminous for a "High Definition Effect"! 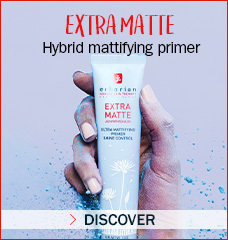 It's high-tech formula contains encapsulated pigments to enhance your skin's beauty. Upon application it adapts to your skin tone, naturally revealing a more even, more beautiful complexion. "Can I use CC Crème if I have oily skin? Sensitive skin?" The answer is Yes! It's suitable for all skin types. Infused with ginseng, our CC Crème works wonders to moisturize and smooth while offering a beautiful base layer under foundation. 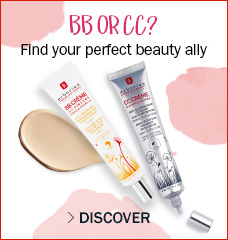 CC Creme Clair, for light to medium skin tones. CC Crème Doré, for medium to deeper skin tones. On top on that? SPF 25 helps to protect your skin from harmful UV rays. Fall in love with a luminous complexion thanks to our color-matching, High Definition Radiance CC Crème.